It’s been a little under a week since I got word that Mrs. Hawking gets to go up at Arisia ’15, and I have tried to waste no time getting preparations underway! Organizing the team has been the first priority. I am pleased to report that finding production designers has been going well. My technical director is Bernie Gabin, my boyfriend and partner of my labors both creative and mundane. The set design will be a combined effort by two talented technical design professionals, Joe Gabin and Carolyn Daitch. 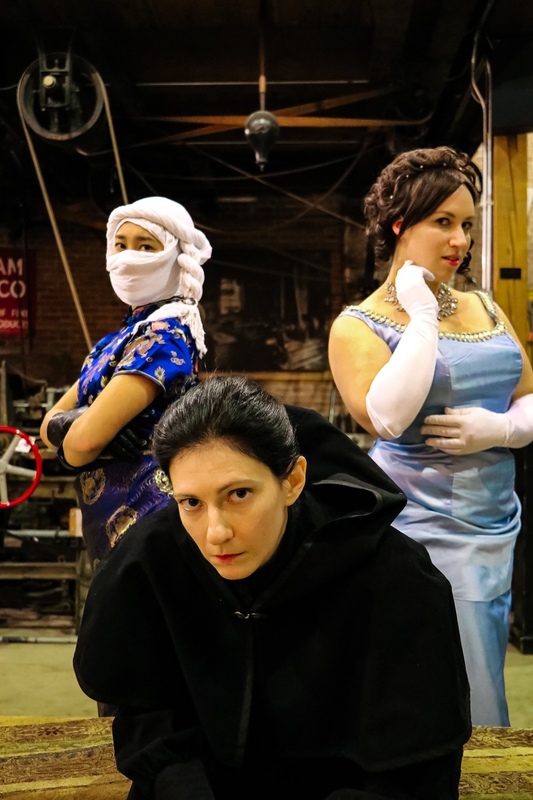 Well-known larp circle costume fairy Jennifer Giorno will be helping with costuming, and experienced sound designer Neil Marsh will be covering music and audio effects. I am incredibly grateful to all those wonderful people for lending their talents to help with this show. 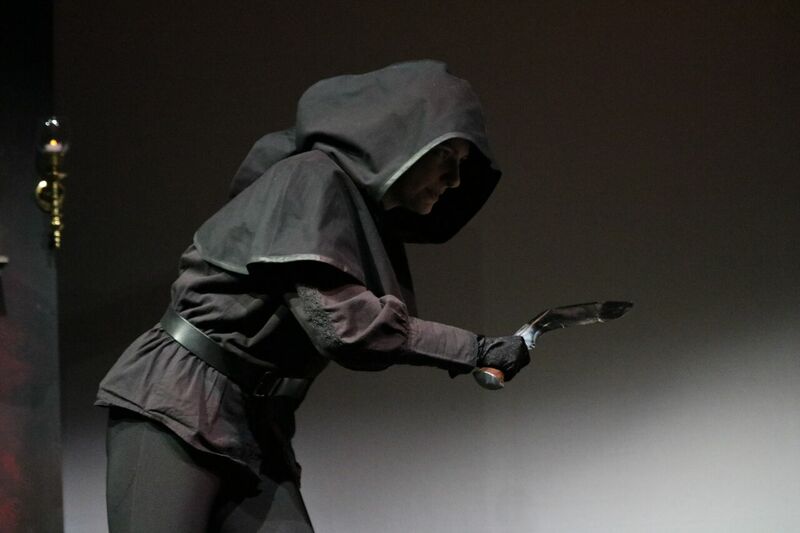 I still need a stage manager and a prop person, but I have leads on who to ask to help with those. I could definitely use a producer, though, which is the one job I’m not sure who to look to for. I also have auditions set up for Monday, November 10th from 7 to 9PM in the Raya Stern Trustees room at the Watertown Public Library. While I am relieved to see that there are people signed up, we could always use more options! If you are interested in auditioning, please don’t hesitate to email me at mrshawkingweb@gmail.com for an appointment. If you can’t make Monday, I would be happy to schedule an alternative time! It’s looking like rehearsals will be through the month of December into January, and there will be a nominal monetary honorarium for all selected actors. Later on I will likely be soliciting more volunteers for jobs like building the set. I will also be needing runtime stage hands, although I believe that the Arisia convention has a supply of reliable people from which to draw. For now, I am focused on the things we can’t get started without– actors and designers to start making this dream a reality! 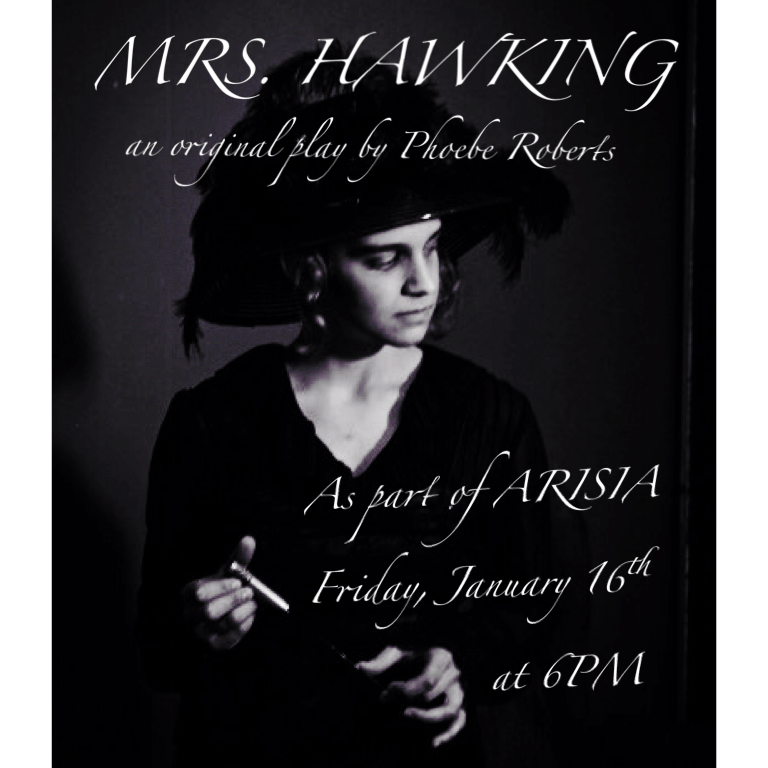 MRS. HAWKING to be PERFORMED at ARISIA 2015!!! Mrs. Hawking has just received some amazing and overwhelming news! For the first time ever, Mrs. Hawking will be seeing a full production! Yes, the first installment of our story will be performed as part of Arisia 2015, a major science fiction and fantasy convention in Boston, MA! It will be performed at the Westin Waterfront Boston hotel as an event for con attendees on Friday, January 6th at 6pm. This is very exciting, and also a big challenge! We have a lot of work to do in a very short period of time. I’m in the process of gathering a cast and staff as quickly as possible so things can get rolling. If you are interested in auditioning, I am planning on holding a call on Monday, November 10th from 7-9PM in the Raya Stern Trustees Room of the Watertown Public Library. If you are interested in trying, please send me an email at mrshawkingweb@gmail.com for more information and to secure an audition slot. If you are interested in being a volunteer for the production, I’d love to hear that too! Send an email to mrshawkingweb@gmail.com and let me know your interest and skill set. We’re going to need plenty of help! I will keep you apprised of information as it develops, so watch this space! Now it’s time to get to work!